The hotel has become an icon itself thanks to its patchwork of glass towering into the sky above the beloved New York Highline. There are views in every direction, no matter what floor you are on, a bonus because there is nothing worse than forking out a few hundred for a nice hotel to look onto a parking lot or a brick wall. The Standard is home to the uber exclusive club the Boom Boom Room, the popular German style beer garden and The Standard Bar and Grill, home to potentially the best burger I have ever tasted... and I don't take such claims lightly. 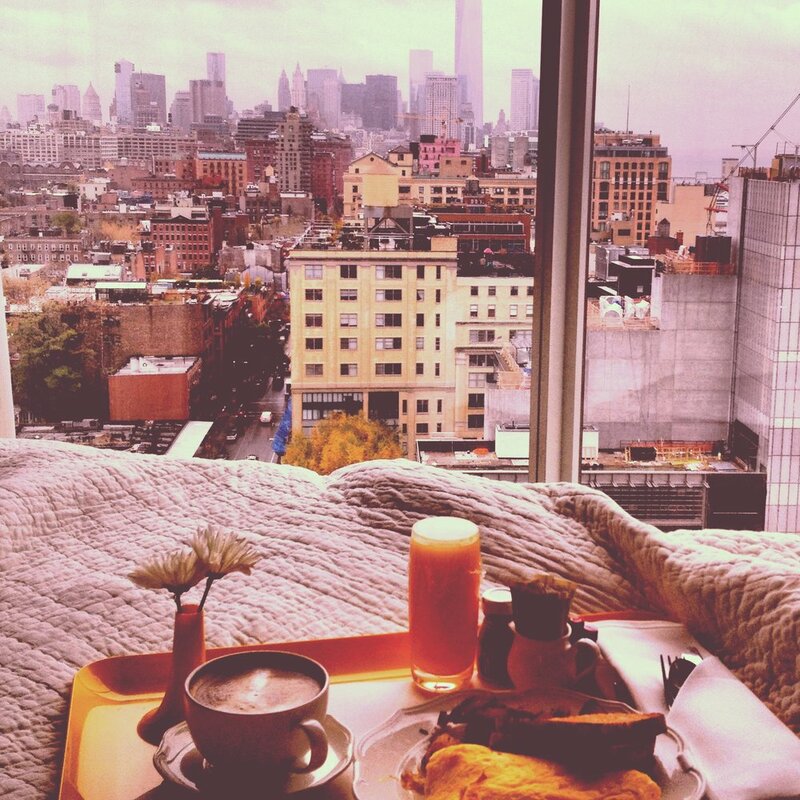 Restaurants aside, the hotel is quintessentially New York. The rooms are small but trendy and boast views of the highline right underneath it, the Hudson River and the never ending city skyline of Manhattan. It is centrally located with some of the city’s best shopping and dining right at your door. Service: friendly, casual and helpful. Room service: A good variety of options, served quickly and good quality. Watch out though, it's expensive! Rooms: compact but functional – you want to be sure you're comfortable with any others staying with you, there is zero bathroom privacy. On the plus side, you can wash your hair while admiring the city skyline and highland below. Amenity: A roof top gym, pool, free wifi, plenty of dining options – the hotel has everything you will need. Best for: a holiday or weekender for couples or friends – not ideal for the business traveller as there are no meeting rooms. Price: It is expensive given it is not a luxury hotel but worth the money if you have it for the views and experience alone. Location: The meatpacking district is central making travel uptown, downtown and Brooklyn easy. Some of the restaurants best shopping and dining is right at your door.